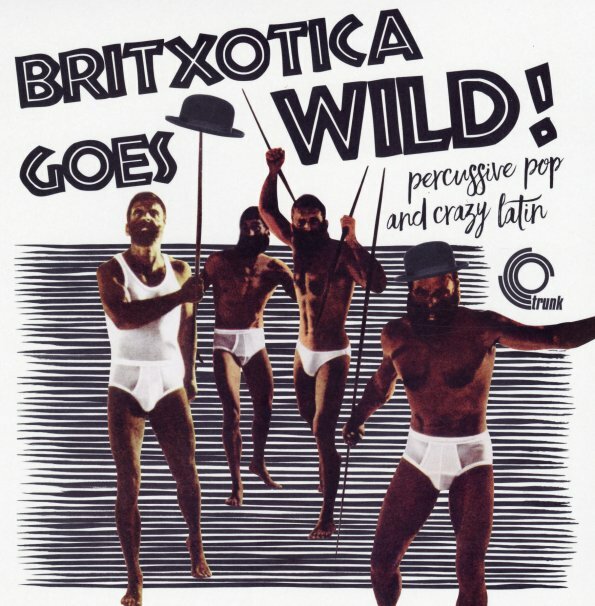 The Britixotica crew are down to their skivvies this time around – clearly shaken into clothes-less frenzy by the wild rhythms in the set! The album definitely takes the "wild" in the title seriously, and may well be the best record in the series so far – certainly the most dynamic, as the Latin rhythms are really ramped up – and moved quite far from quieter cocktail modes! As before, all the cuts here are of UK origin – and represent this great, and oft-overlooked, moment in British recordings – when postwar jazz talents and arrangers were really picking up on the more percussive-heavy styles coming from the other side of the Atlantic. Titles include "Baia" by Tony Scott, "Vamos A Baila" by Chico Arnez, "The High Life" by Marion Ryan, "Wimoweh" by Eve Boswell, "Vava Ba Boom" by Edmundo Ros, "Don's Mambo" by Don Carlos, "The High Life" by Basil & Ivor Kirchin with Tony Sharpe, "Taboo" by Charles Blackwell, and "Mambo For Latin Lovers" by Ido Martin. © 1996-2019, Dusty Groove, Inc.